In February 2012, the Port Hedland Shire updated their R Codes to allow granny flats and ancillary accommodation to be rented out (rather than built for a family member), and the investment property landscape changed forever. The Port Headland Shire was one of the first Shires in Western Australian to approve granny flats to be built in backyards on blocks bigger than 450m2. Fremantle, Perth and other areas were quick to follow suit, and now high density living in urban areas is becoming more common. Leimac Building Company recognised that with rising costs to enter the property investment market, investors would be looking at creative ways to earn more income from their properties. 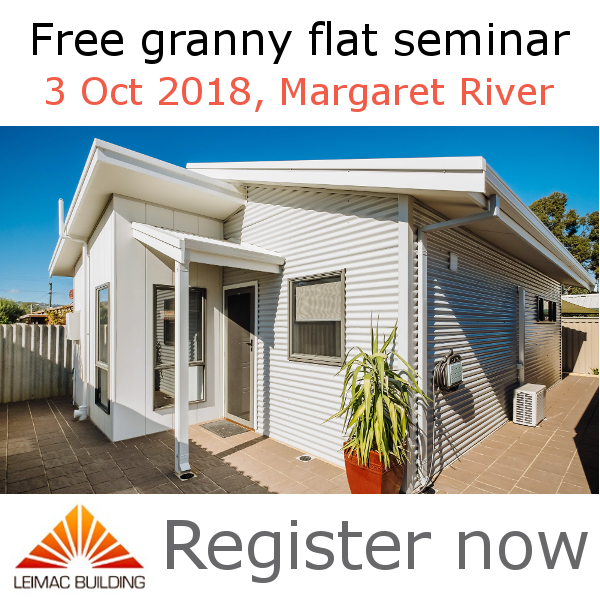 Granny flats and ancillary accommodation is one such strategy, and the Leimac Building Company was subsequently at the forefront of the “Granny Flat Revolution”. Ask us anything about Granny Flats, ancillary accommodation, studios and free-standing guest rooms — from experience, there’s nothing we haven’t come across in the countless granny flats we’ve built around Western Australia. Leimac Building offers energy efficient, quickly erected ancillary options, utilising a variety of materials. We also offer a holistic package to clients interested in property investment or value adding for owner occupiers. This is achieved through our strategic partnerships with financial and design experts. This means that we can, together, help you all the way from finance, design, approvals, construction, and right through to hand over. 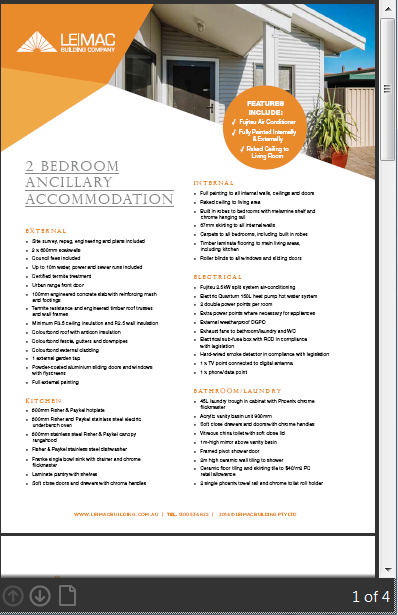 Ancillary Accommodation from Leimac Building – our 1 and 2 bedroom Granny Flats are high-quality, energy rated to 6 stars and cost effective, designed to suit your development needs. As well, feel free to browse some design ideas listed below, or call us on 08 97 555 900 to discuss your specific needs.